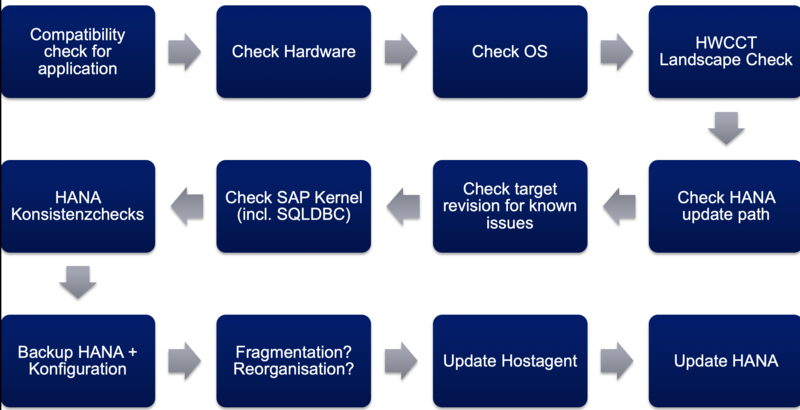 In the last 10 years I have patched a lot of SAP systems and the last 5 years mostly HANA systems. Technically the update of the HANA DB is no rocket science. The patching process itself will take round about 10-20min. So most of you may say what is so special that I have to read a blog about it? Here I can make the answer short => because HANA has a lot of dependencies and depending on how you use it you have to configure it in a special way. So, what I want to explain is not the technical update part. It is more like which checks do I have to perform to harmonize all components of my system. This is the part which will take most of your time and you will freak out how many SAP notes you have to check 😉 But in the end you have a stable system, and this is worth to read and adjust your process. So, if your systems currently running fine and a certified expert has set them up, all components are configured on the basis of SAP notes, guides and best practices from the install date. For example, now you want to upgrade to the latest HANA 2.0 SPS03 revision 34. What do we have to check before we can patch? 1) Does the sizing still meet your application requirements? 2) Does the sizing still meet the server/storage hardware requirements and prerequisites of your target HANA revision? 3) Is your system virtualized? 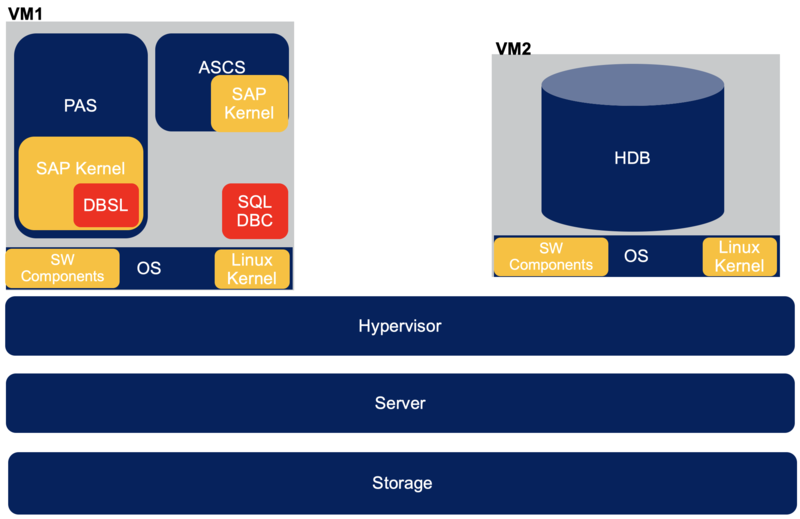 Check if your hypervisor is certified for HANA 2.0 SPS03 and the combination of your server hardware and OS. Another example is SLES11 (BE) on Power is not certified for HANA 2.0. 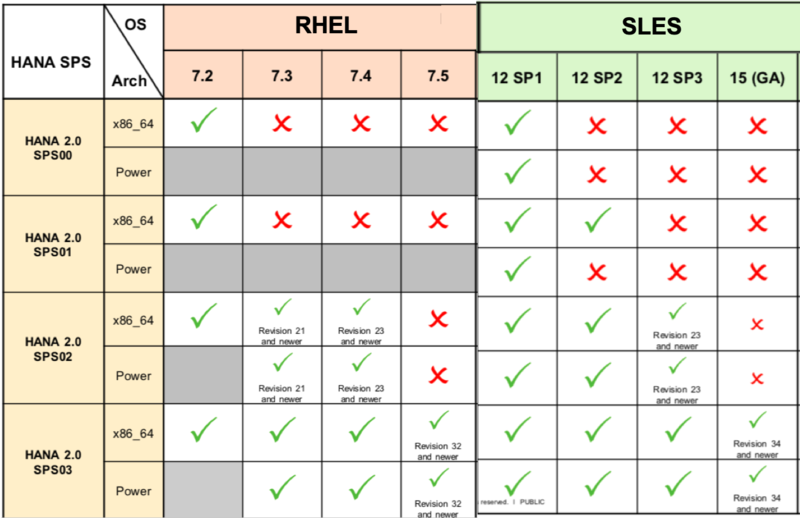 Here you have to install a new LPAR with >SLES12 (LE) or RHEL 7.3 to meet the requirements. You find the lifecycles for SUSE and RHEL on their websites. Therefore you should use hwcct 2.0 for your specific revision. Adjust your settings if there are any warnings or errors. If your system is too old you may have to go for an additional step. For instance you are on HANA 1.0 SPS12 122.03. In this case you have to upgrade to the latest revision in SPS12 and then upgrade to Rev. 34. There are some dependencies you have to keep an eye on. Another case if you are on a pretty new release of SPS12 => 122.21. The only way to upgrade is to 35 and higher. So, if you reread the first example you may notice that if you have to go for an additional step you may end up in a revision which is not allowed to upgrade to your target revision 34. Sound wired but it is also a scenario which can happen. This is the part which most of my customers have never done, because it takes so much time. There is currently no automatism which can check your source and target revision for known issues. Currently in SPS03 there are up to 200 issues which have to be manually checked. This can take up to 5 days depending on your revision. So, I have created a database (currently about 2000 notes as content) for my customers to support them to create an optimal and stable core for there individual business scenario. I already talked to a lot of people at SAP and also created a request at idea place / customer influence 2 years ago (Apr 20, 2016), but till now nothing happened. For every support package stack (SPS) there are collection notes. This should be combined with the parameter script of Martin Frauendorfer from note 1969700. But there is also a third component which is also essentially for running a SAP system on HANA. Do you know it? It is the SQLDBC. Another acronym of SAP for SQL database client. You can have a newer SQLDB version with an older HANA revision, but you should not it the other way around. It can work, but if you use newer hints and features of the DB it can have bad side effects. 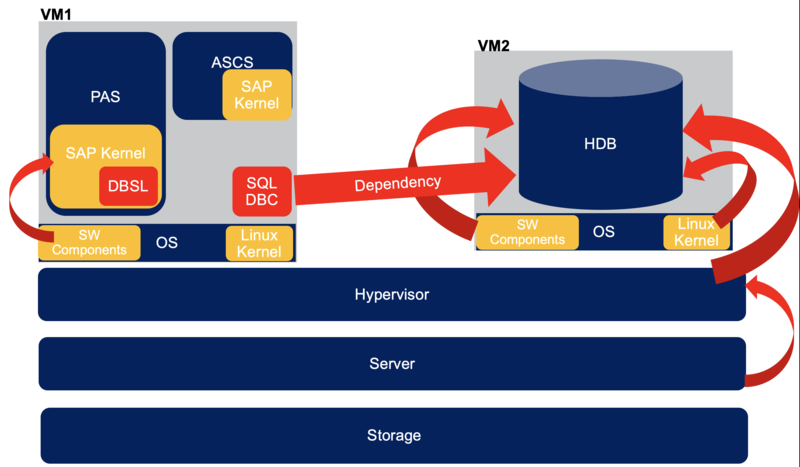 So note every time you plan to change the SAP kernel, change also the HANA database client on the application server. Normally this part should be frequently scheduled as part of your operations manual. You have to run one before the upgrade and one after. Why? Because there might be some checks which were added in the target revision and can report errors which couldn’t be found in the source revision. Ok a backup before the upgrade is normal, but why I additionally list the DB configuration? The config is not part of the backup set. So, you have to backup it manually via file backup. 6) Is there any need of defragmentation / reorganization on tables in memory or on disk? Check the mini checks and the additional check in the section of memory and disk with the scripts from note 1969700. Download the latest Host Agent. Now you think why I should download it although it is part of the install files of the target revision. When the revision bundle was laced up this was 4-6 weeks before the official release and this means an old Host Agent is part of it. Please keep in mind that since version 39 (2382421) you have to configure the agent manually when using the HSR (HANA system replication). Thanks to all SAP mentors who I met this SAP TechEd in Barcelona to motivate me to write another blog in context of SAP HANA. Special thanks to Craig Cmehil and Svea Becker for the support. Don’t forget to mention the HANA update database you already created.